8 tips to make your vacations aboard a boat in Sicily awesome! Planning a vacation is exciting, and the excitement increases more when it is Sicily boat charter vacation. “Sailing in the sea, relishing the blue and living in the moment of indefinable happiness.” – talks about a perfect sail vacation But there are possibilities that you can be a bit of a mess in your Sicily yacht vacation. What….why? As there is so much to do that you can get confused regarding what to choose first. So, what is the solution to this? It is right here. Try the following pro tips that will let you make the most of your vacation. Plan and prepare. This is the primary thing to focus on, right after packing your sunscreen (that’s important too)! Get your itinerary set. 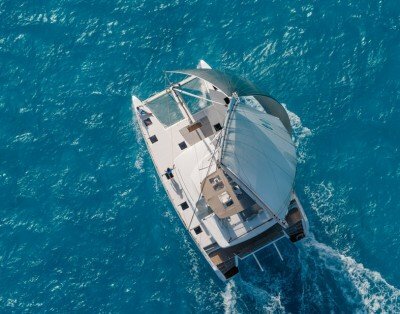 Check which boat will suit you the best and is fitting your budget. Go for a head count and plan it properly. When traveling in a luxury boat, there will be aguide and tour planners ready for you (only if you hire from a good company). You just need to tell them how many days you will stay; what is the budget and which are the places you want to travel, etc. and they will set it accordingly. Few crews are better to be on board. You can stay worry free and have to do nothing. Even before you ask for it, your job will be done! When you opt for vacations aboard a boat in Sicily, how can you miss on the water adventures? You must not! Sea diving and swimming with the pretty fishes are just the starters. Snorkel, surf and try different water adventure. It will some experience of a lifetime. Also, this will be included in your boat rental package. Before halting at every beach and island, explore the nooks and corners of your boat. Why? Simply because there will be more than you realize. A bar, Jacuzzi, lounge, music, beautiful cabins, sun top and so much more. Tip: Instead of a dip, you can enjoy sitting in the Jacuzzi, enjoying the wind and sipping some wine. This will let you enjoy Sicily and your boat as well. Party time! Your vacations aboard a boat in Sicily will not be complete without an on board party. Feel the blazing wind, starry sky and gush of waves while your sail follows the voyage rhythm. And you will get to groove in the enthralling music in the middle of the vast sea. Sicily and food – a perfect combination! Guess what the good point is? You will have a personal chef. A professional platter of fresh sea food with glasses of wine and a company of your loved ones. Live a dream vacation! This is a must! Both sunrise and sunset areworthy a watch. And to thetop, it all, lie under the afternoon sun for a beautiful tan. Remember, you are on vacation, so put your official work behind and your phone on silent mode. Keep the vacation distraction free and spend some quality moment with your near and dear ones. Book for your Sicily boat charter soon!